Hey guys! Sorry its another late post today, I had a fun but busy weekend which made me slow in getting back into my routine today lol so let's get right into it! Tonight I have the "Pumpkin All the Things" box from Cinema Swatch Lacquer to share with you! 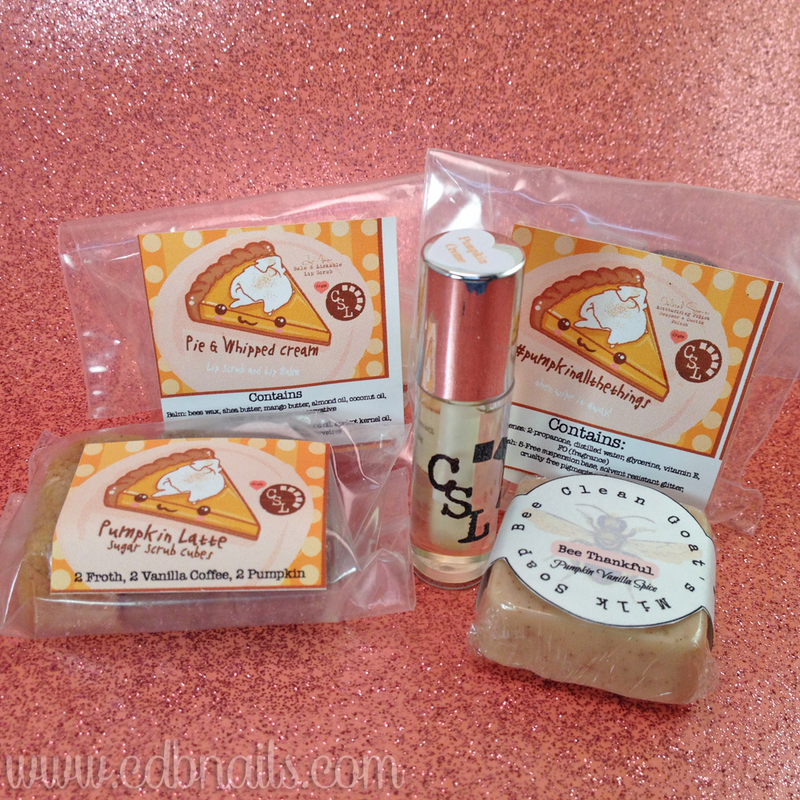 The Pumpkin All the Things Box contains numerous nail and hand care products as well as a couple lip products all in delicious pumpkin scents. 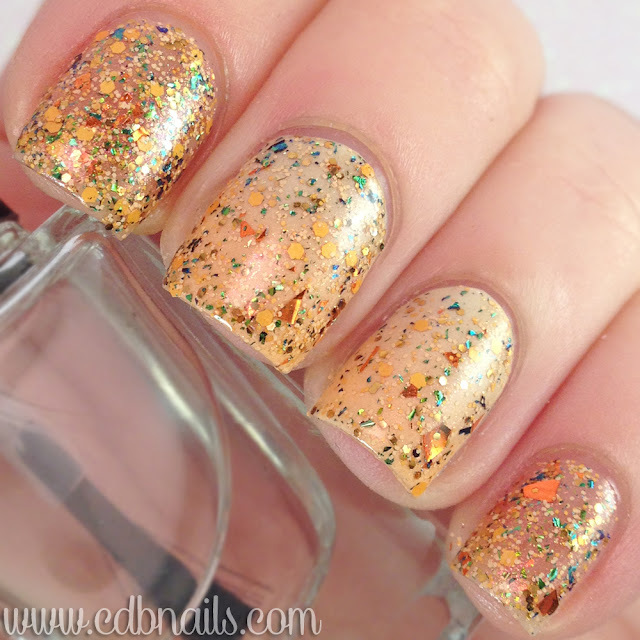 Here are a handful of photos showing two manis I did using the "Pumpkin all the Things" Nail Polish. This is two coats and a glossy top coat. For a full review and a how to on how I used these products check out the video below! I'm not a fan of pumpkin things but this is a neat little box and the polish is really cute. That box is adorable! I even have no idea what a pumpkin smells like, it's not popular in my area! I love the glitter. I could never wear that color, but I would be staring at it for hours in the bottle. What a unique glitter, wow! I love Cinema Swatch! This box is fantastic. 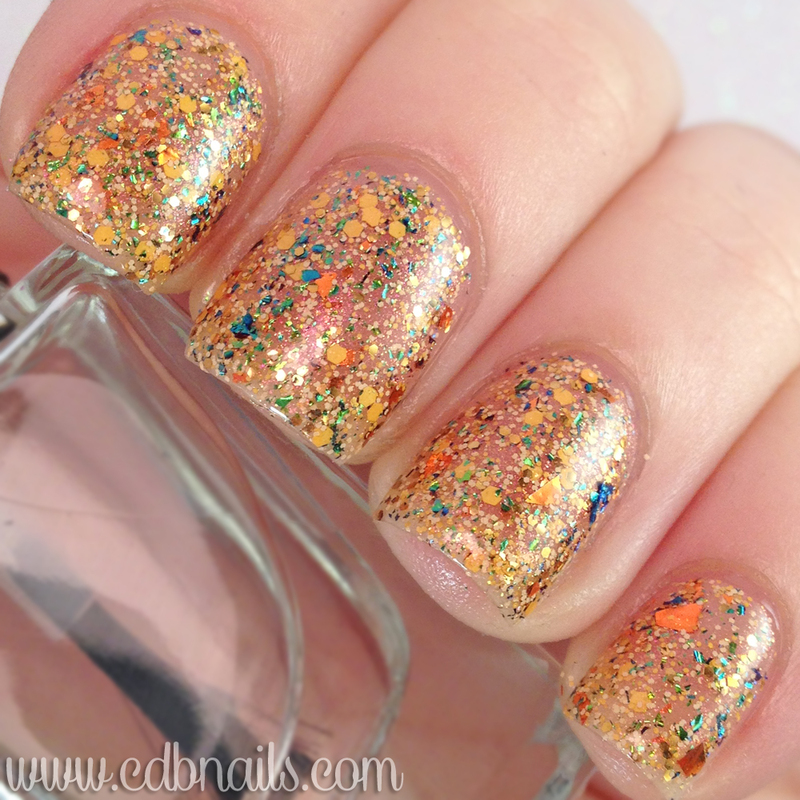 Gorgeous swatch! YESSS pumpkin all the things!!! Im the odd woman out when it comes to Pumpkin spice all the things. I just dont get into it like everyone else seems to. That being said I really love that glitter topper. It's just perfect for this time of year. That box is so cute haha! The polish is beautiful as well! Loved your video review. I love pumpkin everything so I am definitely treating myself to this box!